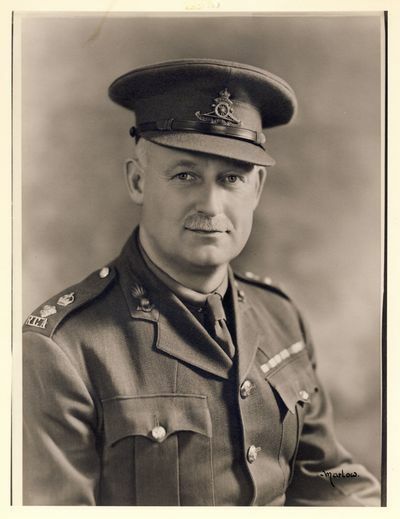 Major Richard Thomas Perry VD is promoted Lieutenant-Colonel and appointed Commanding Officer. He was born in Cardiff, England on 28 November 1884. 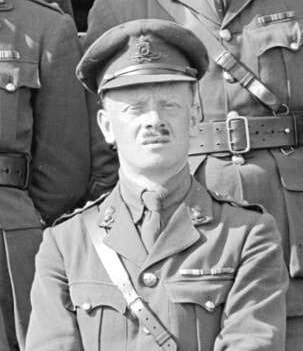 He had prior service in the British forces and was a Sergeant with the 19 Company Canadian Army Service Corp when he volunteered for the Canadian Over-seas Expeditionary Force on 1 November 1914. 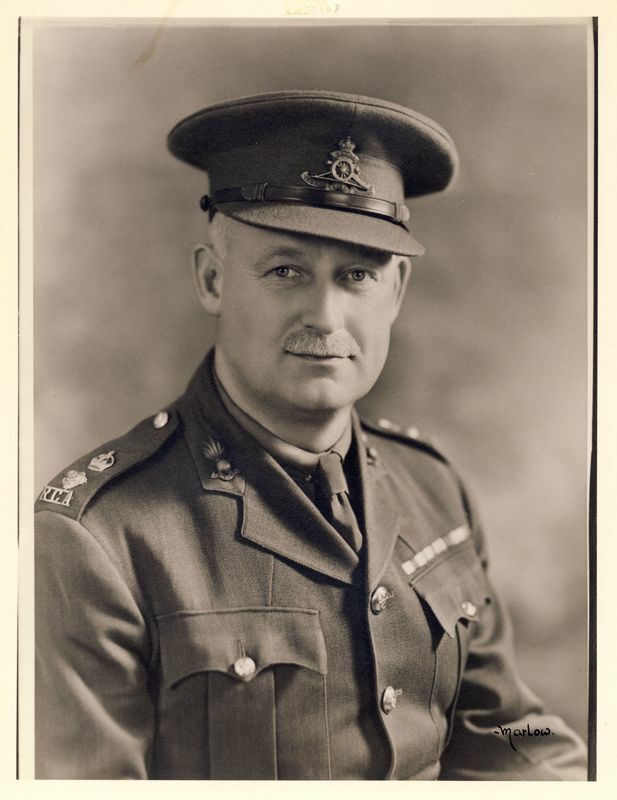 Lieutenant-Colonel Perry served in the First World War and served in France and Belgium from 30 September 1915 until 10 April 1916; from 27 November 1916 until 10 February 1917 and from 22 May 1917 until 6 June 1917. 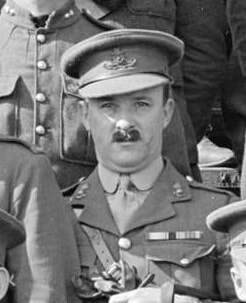 He received the 1914-15 Star, British War Medal, Victory Medal. Born in Cardiff, Wales on 28 November 1884, he was educated there and articled to Charles B. Fowler, FRIBA, (1849-1941), a prominent architect in Cardiff who later emigrated to Vancouver, B.C. in 1913 and who later formed a partnership with his young apprentice. 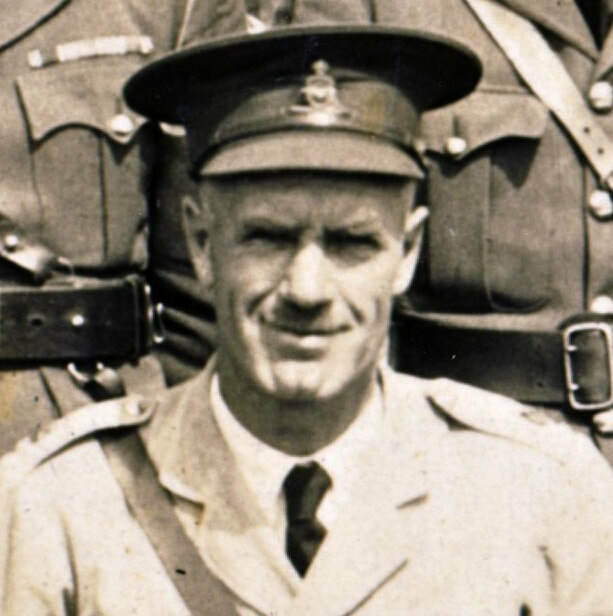 Perry opened an office in Cardiff, but in 1907 he left for Canada, choosing to settle in Vancouver where he was active for the next twenty-five years. He was briefly in partnership with George B. Purvis (Vancouver City Directory, 1910, 1044), and the following year formed a new partnership with Raphael A. Nicolais. Their collaboration was brief; by 1913 he had entered into a new partnership, this time with Major Charles B. Fowler (1849-1941), his former employer in Cardiff, Wales under whom he had articled as a student for five years. 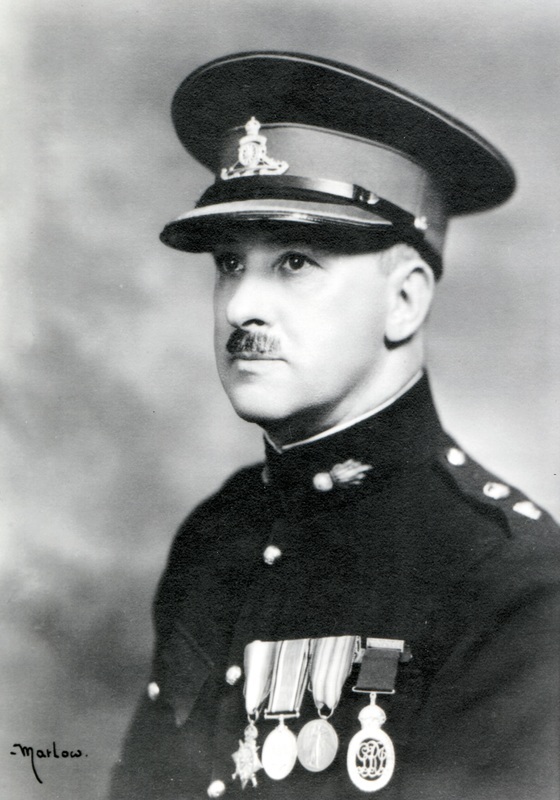 Perry went overseas during WWI to serve with the Canadian Army, and later returned to Vancouver in February 1919 where he resumed his practise under his own name from 1920 to 1926. He collaborated briefly with Robert C. Kerr in 1926, then continued to work alone, designing more than a dozen apartment blocks and commercial buildings in Vancouver. With a growing business in Vancouver, Perry opened a branch office in Calgary, Alta. in 1929 (C.R., xliii, 14 Aug. 1929, 963), but the stock market crash in October 1929 had a drastic impact on his work there and in Vancouver, and his membership in the A.I.B.C. was cancelled in 1930, but he remained active there to complete work on the design and construction of two Armouries for the federal government. SAM KEE HOTEL, Main Street at Harris Street, 1911-12; demol. SHAUGHNESSY HOSPITAL, Tuberculosis Pavilion, West 28th Avenue, c. 1926, demol. Warrant Officer Class II Herbert Hankins MM is promoted to Warrant Officer Class I and appointed Regimental Sergeant Major of 15th Field Brigade, Canadian Artillery on 23 May 1930. He was born in Northamptonshire, England on 21 December 1975. A BC Electric Inspector, he volunteered for the Canadian Overseas Expeditionary Force on 21 February 1916. 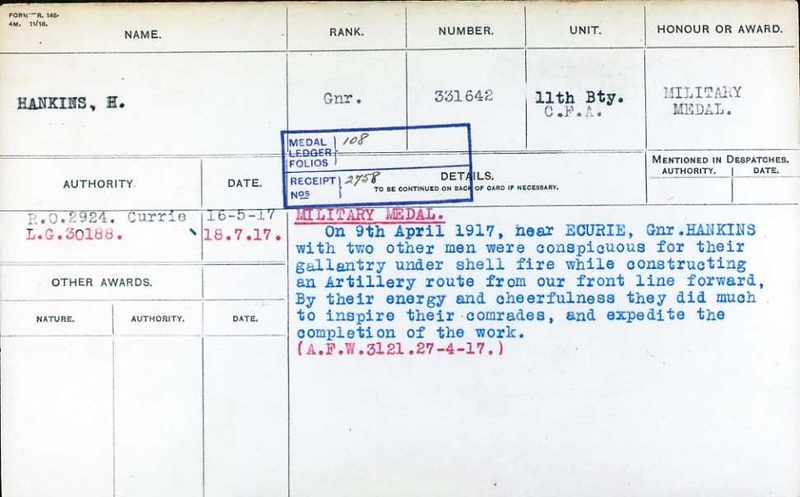 As a Gunner with the 11th Battery, Canadian Field Artillery, he had been awarded the Military Medal. 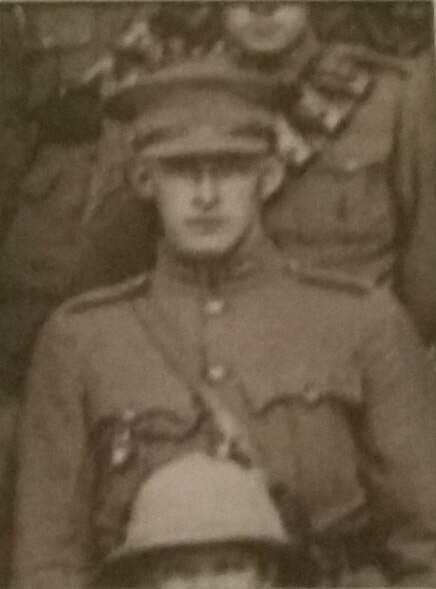 On 9th April 1917, near ECURIE, Gnr. 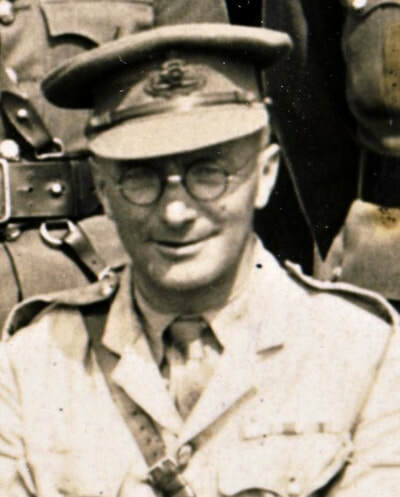 HANKINS with two other men were conspicuous for their gallantry under shell fire while constructing an Artillery route from our front line forward, By their energy and cheerfulness they did much to inspire their comrades, and expedite the completion of the work. 15th Field Brigade, Canadian Artillery trained at Sarcee Camp in August 1930. All three batteries, 31st, 68th and 85th were in attendance. Top Row - Lt GP Cowan; Lt RG Martin; Lt AL MacInnes; Lt N. Smith; Lt GYL Crossley; Lt FW Goernsley; Lt HB King; Lt EJD Edwards. 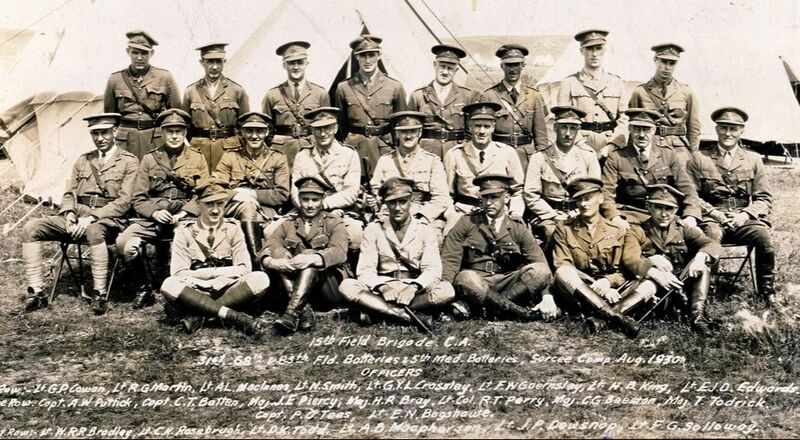 Centre Row – Capt AW Puttick; Capt CT Batten; Maj JE Piercey; Maj HR Bray; LtCol RT Perry; Maj CG Beeston; Maj T Todrick; Capt PG Tees; Lt EN Bagshawe.